"Life with the Lions - Unfinished Music No. 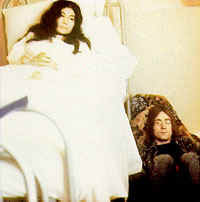 2" was the second of three avant-garde albums by John Lennon and Yoko Ono. It was released May 9, 1969 (UK) and May 26, 1969 (US). There is a good chance for the baby's survival.